Jordan is set to have its first-ever operational drought monitoring system as a result of collaboration between different organizations, including the International Center for Biosaline Agriculture (ICBA), the Food and Agriculture Organization of the United Nations (FAO), the United States Agency for International Development (USAID), the United Nations Development Program (UNDP), and the University of Nebraska-Lincoln (UNL). Over the past few years the country has experienced several droughts that badly affected its agriculture and water resources. All the organizations will work together with the Ministry of Water and Irrigation of Jordan and other government agencies to operationalize an integrated drought monitoring system. The system will use open-source and free-of-charge software developed by the climate change and adaptation research team at ICBA and the University of Nebraska-Lincoln’s National Drought Mitigation Center. As part of this initiative, ICBA organized with partners a USAID-funded three-day practical workshop at the Ministry of Water and Irrigation in Amman, Jordan, on 25-27 April 2017. The workshop provided participants with hands-on training on how to create monthly maps in minutes to monitor the drought using this software. Over 18 participants representing various organizations in Jordan, such as the Ministry of Water and Irrigation, the Ministry of Environment, the University of Jordan, the National Center for Agricultural Research and Extension (NCARE), and the Ministry of Agriculture took part in the training. During the training, all participants created monthly maps for 16 years (2000-2016), and for the first quarter of 2017, with the help of the trainers from ICBA. Eng. Ali Subah, Assistant Secretary General for Technical Affairs, Ministry of Water and Irrigation, Jordan, said: “Our dams in Jordan have currently less than 50 percent capacity, and we’re in a difficult situation to meet the water demand of all sectors. Highlighting the need for an integrated system, Eng. Talal Alfayez, Program Expert, FAO, Jordan, said: "FAO in Jordan is very happy to work with ICBA, USAID, the Ministry of Water and Irrigation, and all other partners for a common goal, i.e. to help Jordan in managing the issues such as drought. The drought monitoring system from ICBA is a great tool and I'm hopeful that it will be helpful in managing the issues of drought, and it will save a lot of time." 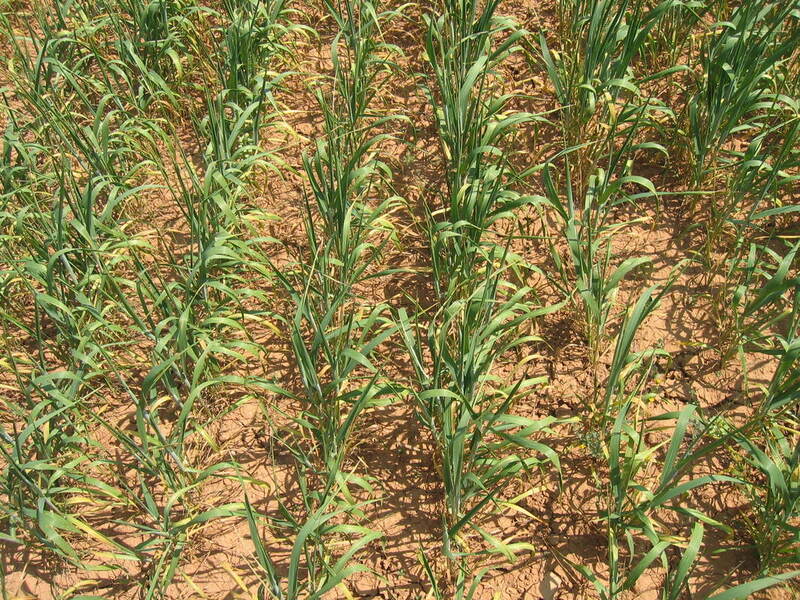 Periodic drought is a threat to food and water security in the MENA region. The region already faces challenges from the limited water supply, political instability, and desertification. So droughts bring unwanted additional pressures on natural resources, impacting economic and social development. Many more countries require enhanced drought management. Therefore, ICBA plans to build on the success and MENA experience of the current project, and continue to develop the local capabilities in monitoring/early warning systems, policy planning and practical implementation. ICBA’s work will contribute to climate change adaptation and mitigation in countries like Jordan, Lebanon, Tunisia and Morocco, which are most likely to suffer from climate change-related effects. There are also planned activities in helping policy-makers embed drought within water policy frameworks so that these extreme events are managed proactively. This press release was originally disseminated by International Center for Biosaline Agriculture (ICBA), a Partner in GFAR. (GFAR) is a unique multi-stakeholder global forum on agricultural research and innovation. GFAR is an open, voluntary forum and a movement for change. GFAR is a networked organization, made up of Partners working together, through collective advocacy and actions, to shape the future of agriculture and food and their role in achieving sustainable development.